USA has announced a second season of the dystopian thriller based on James DeMonaco's movie franchise ahead of tonight's Season 1 finale. The Purge is USA's highest-rated drama series, averaging 2.3 million viewers. 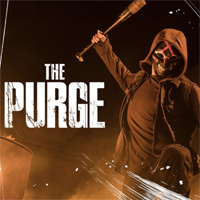 "James DeMonaco has done it again: The propulsive and compelling story he created for season one of The Purge truly resonated with audiences in a significant way," says Jason Blum, whose Blumhouse Productions produces the series with Universal Cable Productions. "We are thrilled to embark on season two and can't wait to bring more of James' vision to USA and fans of The Purge."